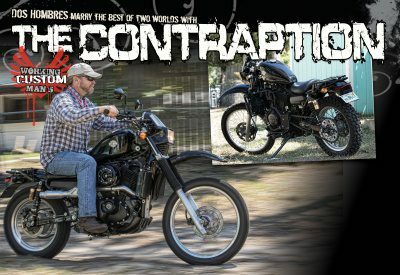 The dual sport motorcycle. The bike that puts you right in the middle of the world of off-roading and the concrete jungle. The jack of all trades and the total compromise of the best of both worlds. I guess this thought and living in Ocala, Florida where both worlds surround you may have been the reason for John Archer and his longtime friend and partner, Ron Ingram, to take this interpretation and make it their own. Working together at their shop they call Dos Hombres, John and Ron have put together just about every bike you can imagine. 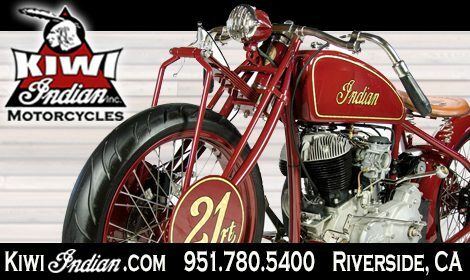 Alone, John’s personal stable sits at nine plus bikes; which include the first bike he ever owned, a 125 Harley given to him by his dad when he was seven years old. This one sits proudly in his living room. So, when your engineering mind starts to wander, it can sometimes bring you to the simplest of places which turn out to be the most fun in the end. This is just how this build was done. 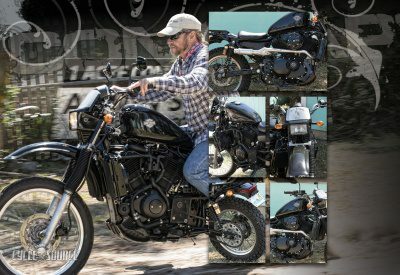 Having never built a dual sport before, Dos Hombres was invited by the local HD dealer to build for a regional contest, and the request was for a Street XG. Now, of course, putting together an XG is not as easy as it may sound due to hard to come by aftermarket anything for this bike. With lack of resources comes inspiration and with inspiration comes the ground up build. Taking a 2014 XG 500cc engine, the duo decided that there was no better frame to use than a 2000 Sportster. After adding some adapter plates, the XG engine was a perfect fit. Geared low. This fuel injected, counterbalanced six-speed purred or should I say roared like a tiger. One of the very cool things that were done besides beefing up the swing arms was the installation of twin radiators. These came from a Ford pickup truck or trucks. As part of the process, fluid volume was tripled, and the flow rate doubled. A combination that would pretty much allow you to sit this bike in some thick Ocala mud and go have some lunch and come back and still hear her running. Adding a host of parts from the Kawasaki KLR 650 line was next in order. A 650 fork with KLR triple trees, KLR risers, front and rear brakes made for a nice mix. Keeping the wiring as stock as possible would help guarantee an element of reliability and cut down unnecessary troubleshooting. To top it all off, some custom fabrication from Dos Hombres along with a killer powder coating job from Rusty over at Southern Powdercoat all tied in with a clean paint job from Matt Smith with a dash graphics from Luke Scanlan Artistry finished a job well done! With the project taking only six months, in the end, this beauty is a secret show stopper. A job so well done, that in the end many think this ride is a high-end stock design. Wait! High-end stock design? Well, that just wouldn’t be a fair thing to say to complement the end result. What I will say, however, is that maybe this… when playing Cowboys and Indians, and I do mean Indians maybe the Cowboys need to think just a little outside the box. I was always told to build it, and they will come. And if you’re wondering why this bike is called an XGLR, I guess like many jokes told over a good beer, this is what you would get when you cross a Sportster with a Kawasaki. And hey, cut me some slack, it sounded funny when I was writing! Side Note:Right off the bat, there are two things to note in this little story. First, when in Daytona at the Cycle Source Bike Show never, and I do mean never state you have seen it all. I say this because chances are you will be proven wrong and the shame of knowing this will only be yours. The second, give an engineer enough time to think and outside the box will soon become the norm. 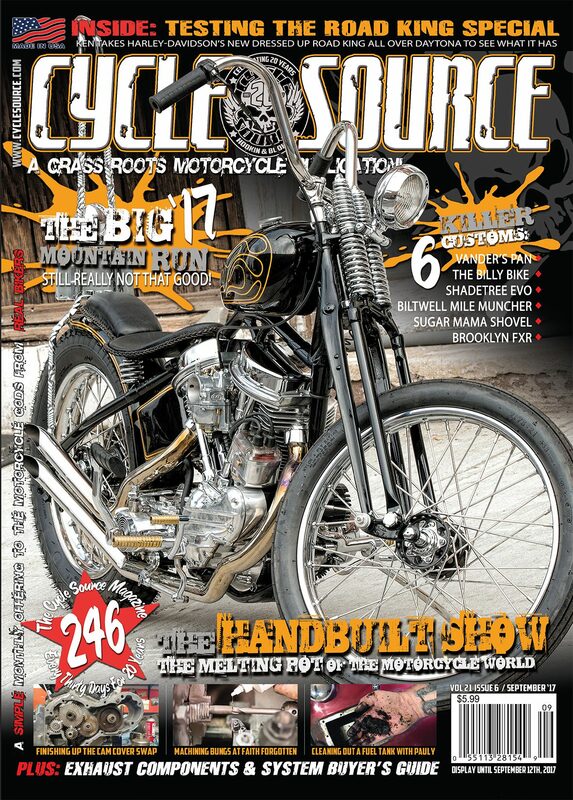 This entry was posted in Feature Bikes and tagged Back Issue, custom bikes, Cycle Source, Cycle Source Magazine, Feature bike, September 2018, The Contraption, XGLR. Bookmark the permalink.